/ Easy Way to Add Animated GIF to Messages on iPhone? 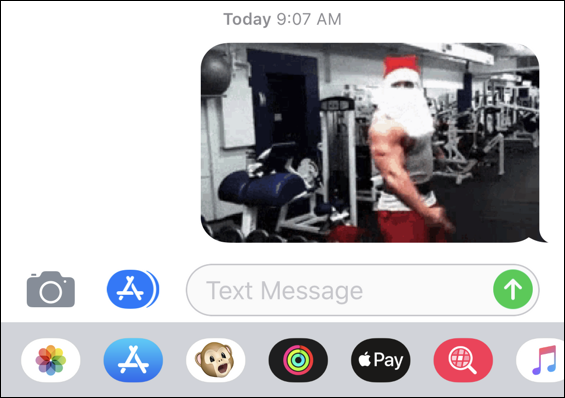 Easy Way to Add Animated GIF to Messages on iPhone? My kids send me lots of animated GIF images via text message but I have no idea how to reply in kind. Boring. How can I join in on the fun on my iPhone? I have exactly the same situation with my kids, actually; they would send me tons of “memes” and animated graphics and I had no idea where they all came from. Did they just have an app for ’em? Or spend lots of time in Google, downloading animated images? 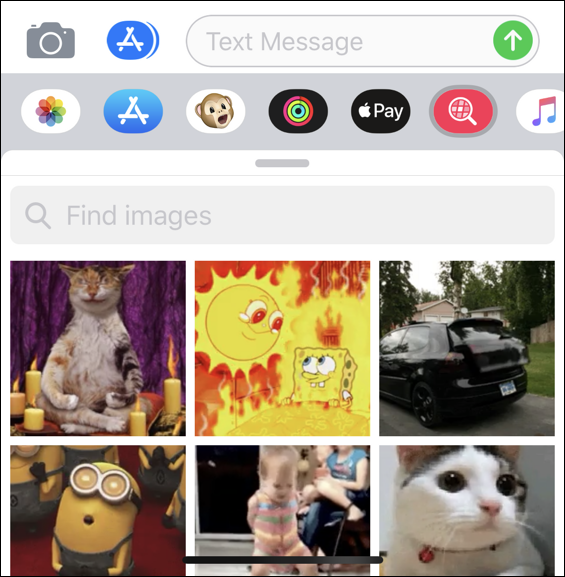 Turns out neither was the case and that there’s a simple add-on to Messages (aka “iMessage”) that lets you choose from a massive library of animated GIF images and send them to your friends and family, all without leaving Messages! Having said that, I do want to highlight that if you’re on a tight data plan you might not like doing this too often as the images you send do need to be downloaded to your phone, then uploaded to send to your texting circle. Probably not a big deal but always good to at least mention that it does use some bandwidth. Now, it’s likely that the #images add-on is already installed in Messages and you’ve never noticed because you – like most everyone else – just go straight to the keyboard to type. Let’s find out! You can see I have quick access to my Photos, the Messages apps store, animoji (animated emoji), activity emoji, Apple Pay, the music symbol of iTunes and… that red one that I skipped on my list. Hmmm…. If you look very closely it’s a magnifying glass with tiny white squares within. That’s #images and it’s what you want to access. At this point just ensure that you have #images listed as a favorite and it’ll show up just fine, ready to use. They’re all animated, of course, but here I’m just using static images. You get the idea! 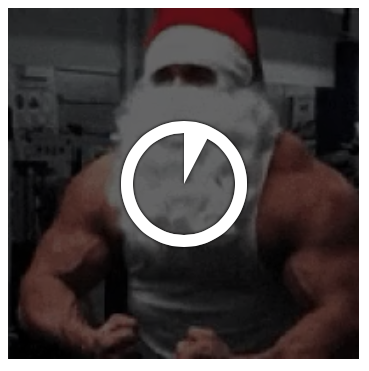 The muscle-bound Santa image is a winner – and it’s even funnier as an animated image too. 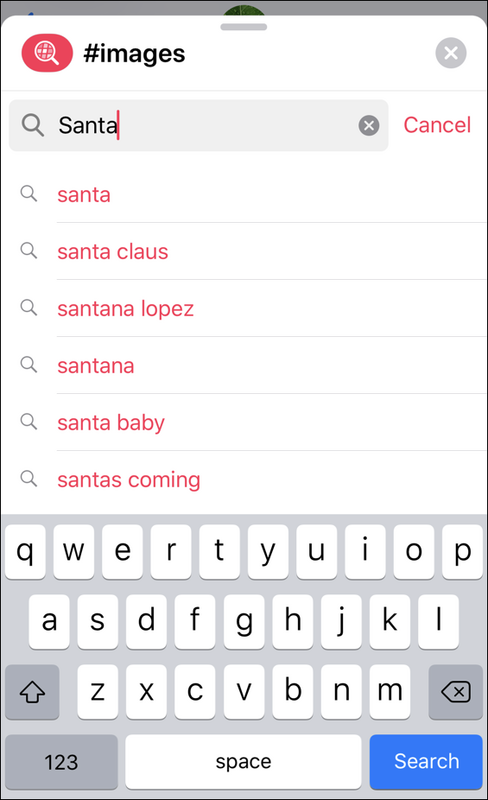 To browse more possibilities, simply swipe up or change your search. The database is massive so I’ve never stumped it regardless of what I search. Sent! Now you are ready to have Animated GIF duels with your kids. Go! Pro Tip: I’ve been writing about the iPhone since before it was released. Really. Check out my iPhone help area for more details!